Goa is a perfect blend of the Oriental and Occidental culture. Given the massive flow of foreign tourists, it usually forms the basic platform to learn and practice yoga that not solely strives to assist you to attain external beauty and also inner peace. The peaceful atmosphere, the pleasant weather, bright and evergreen tropical hood, the calm marine, pretty beaches and therefore the year-long moderate temperatures make it the best place to practice sadhana and work towards attaining moksha through sadhana. As you sit for Yoga and meditation close to the pristine beaches of the province you get absorbed into a very different world. As your external self-glides through the systematic lattice of asanas, your inner being lost itself within the tranquility of the place. Over one hundred kilometers of Konkan coast stretching across the state of Goa hosts a large number of places providing one thing to suit everyone’s desires and interests. Undisturbed by the noise and glamor, busy crowds and wheezy raves of the opposite Goan beaches, Morjim in North Goa is a paradise for solitude seekers moving forward to asana experiences. Situated in an exceedingly placid position between the evergreen ranges of the Western Ghats and a deep sea softly overlapping its bound. The weather is hot throughout the year and season kicks off in October and finally ends up by April because it is rainy throughout the remaining months. 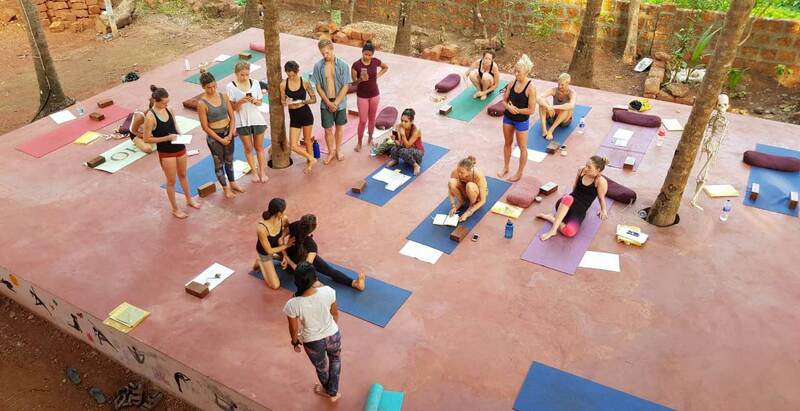 Our Yoga Teacher Training in Goa offers short-term yoga workshops and retreats. Why Goa for your Yoga? Goa is one amongst the foremost stunning places for Yoga seekers apart from as for artists and dancers. Splendid Goan nature, the shadow of palm trees around, delicious food and deep sea with friendly dolphins let participants around the globe have memorable dream holidays and meet Indian culture in an exceedingly safe and extremely pleasant approach. The 200-Hours Ashtanga Vinyasa Yoga Teacher Training Certification Program is a well-known foundation course offered by Yogadhyan. A comprehensive course in Ashtanga Vinyasa Yoga, this teacher’s learning program is run underneath the supervision of our esteemed faculty and is authorized by Yoga Alliance. The basic aim of this Ashtanga YTTC is to inspire yoga aspirants to explore an ability of understanding and applying the basic Ashtanga Vinyasa yoga form with the help of proper alignment and various postures utilized in the Iyengar yoga asanas. One amongst the basic aspects of this training is initiating yoga aspirants into the realm of intense yoga teaching and a superlative understanding and appreciation of one’s own body system. Inner Understanding: Students get to sharpen their understanding of the deep level physiological methods contained in Asanas. Teaching: The fundamentals on the precise set of conducts for a trainer and the qualities of a perfect trainer. Business Skills: A Trainer needs to master the art of creating a business method, and we provide the basic training for that. Apart from proving in-depth teaching and practice students are mastered with the general techniques of Ashtanga Vinyasa yoga, they’re trained in an extreme approach that distinguishes them from an intermediate yoga learner. They master the art of teaching during this advanced Yoga Teacher Training in Goa course. Trainees are given customized teaching modules that aid them in understanding ways to conduct a Vinyasa flow session with their personal creative touch and intuitive abilities. They tend to understand the individual brilliance of every aspirant and learn to impart a holistic training. 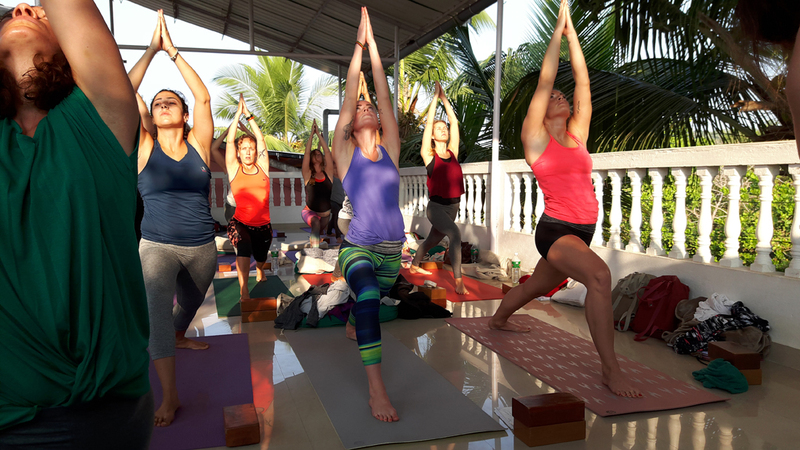 If you’re a total novice to yoga or a beginner or have very little time to practice yoga and yet harvest a deep interest to develop greater understanding and higher wisdom, there’s no other best avenue than to enroll for the short term Iyengar Yoga workshops in Goa offered by Yogadhyan. A perfect combination of meditations, prayers, Ashtanga Vinyasa primary series and yoga class together with alignment and adjustment of postures, it provides an ideal blend of the various parts of the yoga. Sanskrit literature that facilitates a correct understanding of one’s own self. Participants are given detailed explanation and training in the understanding of Yoga Philosophy, body physiology, and overall anatomy. This information helps them perform better as trainers. Armed with this information they reach a stability wherever they try to formulate and modify yoga asanas and training schedules for specific students in an extreme approach that rewards them the best. Kriyas: Theory and practice, advantages and contraindications. Techniques and beneficial tips: Jala Neti, Sutra Neti, Shankhaprakshalana (Langhoo Shankhaprakshalana), Vaman Dauti (Kunjal Kriya), Kapalbhati, Trataka. Meditation Techniques: Silent Sitting (Vipassana), Dynamic Meditations, Dance Meditations, Kundalini Meditation, Chakra awakening, Silent Walking in Nature, Silent Day (Individual), Art Meditation. This is basic, however intensive yoga course for those who wish to need to deepen their yoga practice, get to understand the history and philosophy of Yoga, learn asana anatomy and perceive the influence of posture application on the body. On effective completion, you will be awarded the Yoga Teacher Training Certification for affiliated hours (200hrs) Yoga Teacher Training program. We’ve been fulfilling this challenge effectively for past few years as we tend to work with tightly joined and structured course contents and balanced teaching techniques. We tend to set realistic teaching outcomes and work with day to day schedule and teaching hours. Individual focus, achieving teaching and learning outcomes is the most vital aspect of the intensive short-term teaching courses. We sincerely acknowledge it and address it over here. We also carry out 200-Hour Ashtanga YTTC in Dharamsala. You can see the Scheduled dates and Fees, and see our student reviews from the video section on the home page to understand us better!